You can immediately begin your Bachelor of Fine Arts (BFA) as soon as you receive your high school diploma, or the equivalent in your home country. According to the National Association of Schools of Art and Design (NASAD), there are currently 315 accredited fine art colleges in the United States for an international student to choose from. When choosing where you would like to study fine arts, you should consider which specific program you would like to pursue, as well as where you would prefer to study the arts. There are a variety of programs offered nationwide, such as: acting, ceramics, drawing, painting, photography, musical theatre, sculpture, interior design, and many more. If architecture, fashion, and sculpting are your passion, the East coast will have more to offer in states such as New York or Massachusetts. Animation, acting, and film production would be more prominent on the West coast in states such as California or Washington. You should also look at a university’s professors and their field of concentration in the specific department you are choosing. By looking at what they have created, you may become inspired to work with them specifically later on in your educational career. A BFA is for those international students looking to receive a professional education in the visual or performing arts. The degree is also known as a Bachelor of Creative Arts (BCA) or a Bachelor of Visual Arts (BVA) in some countries. At most fine arts colleges, the BFA degree program consists of 2/3 the time dedicated to the study of fine arts and 1/3 dedicated to the study of liberal arts (literature, philosophy, languages, history, mathematics and science). In the US, the Bachelor of Arts (BA) differs from the BFA in that it focuses more on the study of liberal arts and less on fine arts. The first two years of a BFA program usually focuses on the fundamentals of art, such as drawing, sculpting, and painting. By your third year you will select a concentration, such as ceramics, to focus on for the rest of your degree. Usually during this time you are preparing for your specialized career by completing internships, which are strongly encouraged. Fine Arts colleges, such as Rhode Island School of Design, offer students the chance to work with big name companies such as Google, Disney, and Cartoon Network. Other students choose to work at art galleries or museums in major cities. A BFA degree usually takes four years or more to complete, depending upon an international student’s specialization. During school it is important to network with various companies through your internships in order to gain valuable experience for your resume. After graduation, most fine artists have the option to work independently and choose to specialize in one or two art forms. Many students pursue careers in restoration, design, architecture, or even teaching. Some international students further their education by getting a Fine Arts Certificate or pursuing their Master of Fine Arts degree (MFA). 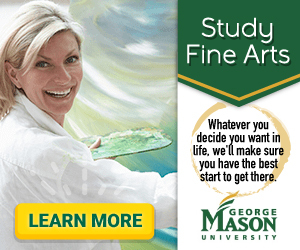 Most Fine Arts Certificate programs are completed after you receive your BFA. The purpose of the certificate is to help further build your artistic skills and add to your portfolio for a design career or graduate school. International students usually pursue a certificate program because they are flexible, as many programs are offered to be completed online. If you enroll in a certificate program where you must personally attend a fine arts college, you are likely to gain valuable individualized feedback on your artwork. Some certificate programs even offer students their own on-campus studio and allow them to attend seminars with graduate students. A Fine Arts Certificate usually consists of 30 credit hours of foundation classes in topics such as drawing, painting, digital photography, art-making concept development, or art history critique. Classes can start monthly or yearly depending on where you attend. Most certificate programs can be completed by an international student in as little as 9 months to two years. A MFA degree allows students to study fine arts in more depth. Most programs require 2-3 years of postgraduate work in specialized areas such as visual arts, creative writing, filmmaking, dance, or theatre/performing arts. You do not need a BFA to apply for an MFA degree, as long as you have a bachelor’s degree. The most important admissions requirement will be your portfolio or a performance audition. An MFA degree differs from a Master of Arts (MA) degree in that the MFA degree centers around your practice in a particular field, whereas an MA centers on the scholarly or critical study of a particular field. Your coursework in an MFA program will focus entirely on your culminating of a major work or performance. The MFA is a terminal degree, meaning it is the highest degree you can obtain to study fine arts. However, some fine arts colleges have implemented Ph. D programs in the fields of creative writing, visual arts, and theater.